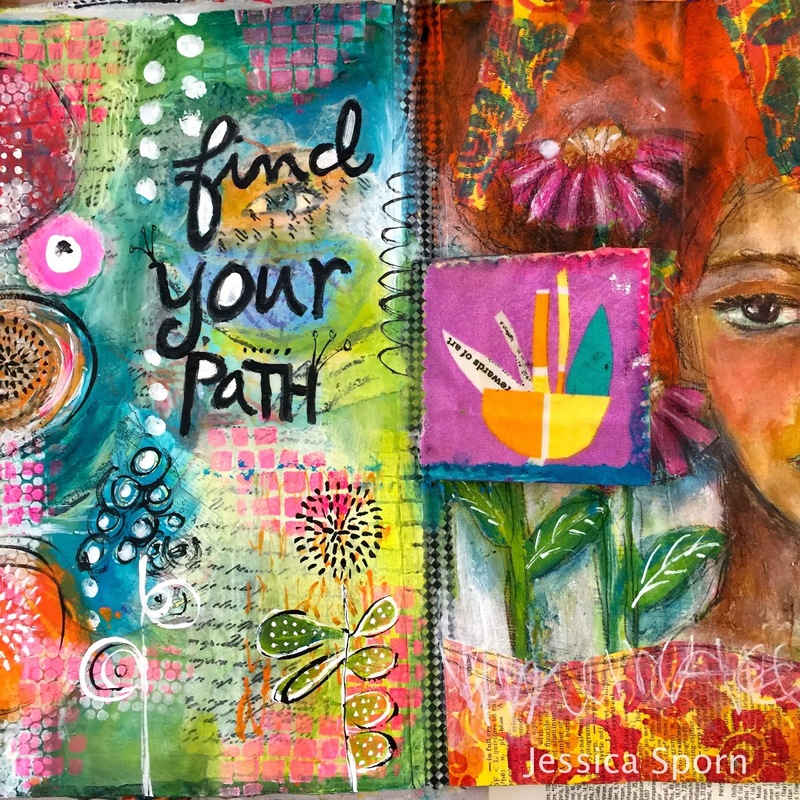 Jessica Sporn Designs: Art Journal Your Archetypes - And a Giveaway! 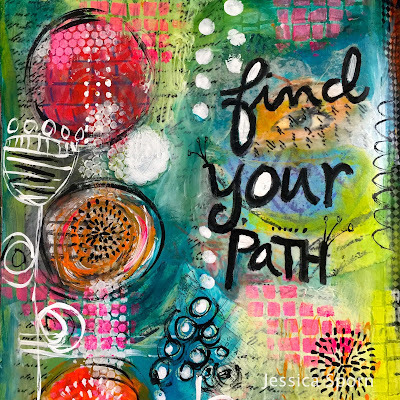 Art Journal Your Archetypes - And a Giveaway! 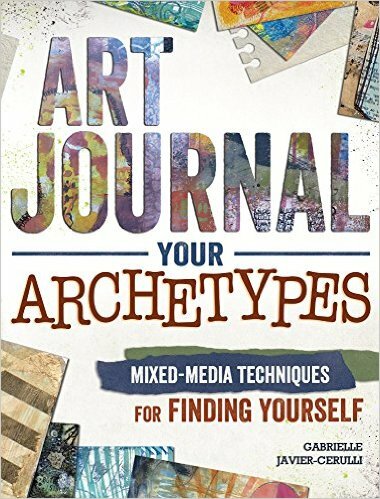 I am thrilled to announce that I am one of the participating artists in Gabrielle Javier-Cerulli's new book, Art Journal Your Archetypes. "an inherited pattern of thought or symbolic imagery derived from the past collective experience and present in the individual unconscious." Although this might sound a little "out there," the study of archetypes is a way of exploring your personality and learning more about yourself based on patterns of behavior. You can also watch "Jessica Sporn is in my Book" on YouTube. Gabrielle's book is fascinating and exploring your archetypes through art journaling is stimulating and inspiring. After receiving my copy, I was inspired to create this art journal page, Find Your Path, based on several of the tutorials in the book. You can also watch "Follow Your Path" on YouTube here. 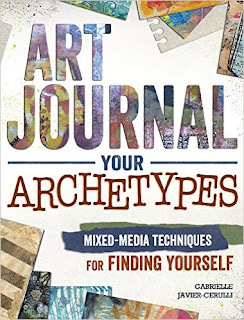 To celebrate the release of "Art Journal Your Archetypes," I am giving away one copy of Gabrielle's wonderful book. Here's how to enter! I will post the name of the winner IN THIS POST on Tuesday, November 15. So on November 15, check back here. Most importantly for my USA friends, don't forget to vote today! Sharing this beautiful graphic by Kim Geiser. Use your voice and Vote TODAY! Thanks for sharing those wonderful videos. Loved your art. Congratulations on being a part of this amazing book. What a giveaway! I tend to use a lot of flowers and butterflies in my art. wonderful video and color filled page, and I really love the first song in the video. Thanks for sharing, along with your beautiful interview. LOVE watching you work. As a bit of a rebel I really try to push the boundaries in my work. You really need a lot of 'tools' to work with and I reckon this book has much that I can use. I would love to win this. 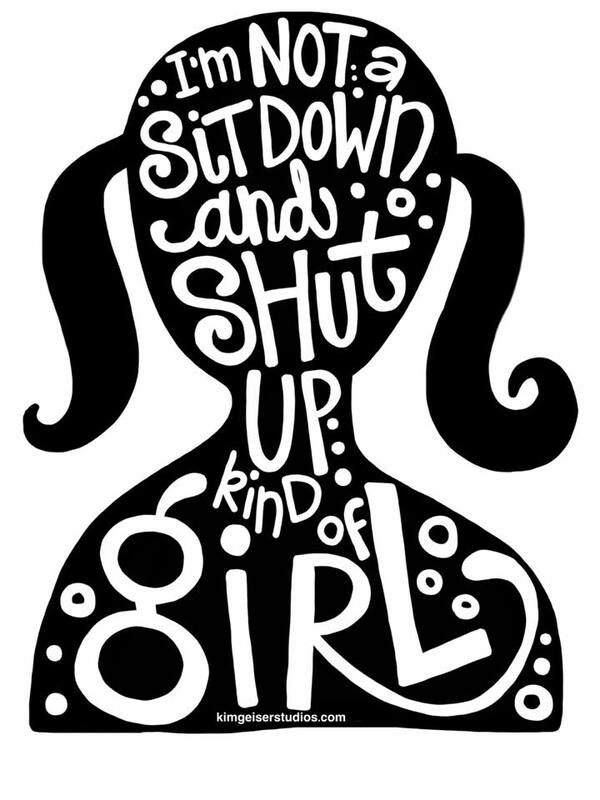 I haven't worked with archetypes in a few years. I used to do tarot and numerology an have been looking for my books lately. I want to use some of the info in the layers and phrases in my journals and art. I have changed a lot since I have been doing more art and putting myself out there. It is an interesting process,sometimes so hard and sometimes easy. Always interesting and enlightening! I need to learn to put more of me into my art. To accept what I can do and learn to love it. I tend to think everything is not good enough and want to scrap it all. Email: undl@comcast.net ....I did vote on Tuesday, but the electoral results have tipped my world upside down....I am concerned about our county and very saddened. Congratulations, for your entrance into Gabrielle''s book. What a great opportunity!! Congratulations! I use fish and water in my art as I am a piscean. Jessica, I was so happy to hear, in the video interview about the archetypes book, that multi-facetedness is a positive thing, a gift, really! I also have worn many hats, including attorney, mom, teacher and spiritual director. I love to explore the intersection of spirituality and creativity in my art journaling and prayerlife. So glad I found you!! Maryc12388 (at) gmail (dot) com. One way I Explore me in my art is through color. I really try to pay attention to how colors make me feel. Also I am learning to draw and will often use a mirror. Very eye opening that is! Cathybuckingham (at) yahoo (dot) com. Congratulations to you! How wonderful! I would say that I learn more about myself by continually learning and trying new things and sharing them with others for it is through others I learn more about myself. suznok(at)gmail.